PJH Property Services have been in business for over 25 years. 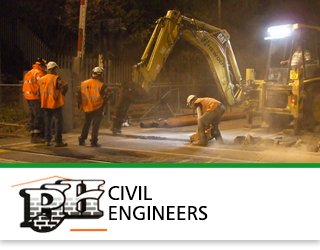 We are an Ilkley based company trading along side our sister company PJH Civil Engineers, that undertakes projects within the rail and commerical sector throughout the UK. • Conservatories and Roofing work. We also undertake all associated groundwork and drainage works. We carry out paving and tarmacadam laying for both the domestic and commercial markets. We also undertake property renovations and new developments. We are an Ilkley based subsiduary of PJH Property Services Ltd.
Cable Route works, Drainage,Excavation, Lineside Construction, TSL Compounds, REB Installations Cess & Signallers Walkways, Fencing and Vegetation Clearance etc. Copyright © 2019 PJH Property Services. All Rights Reserved.